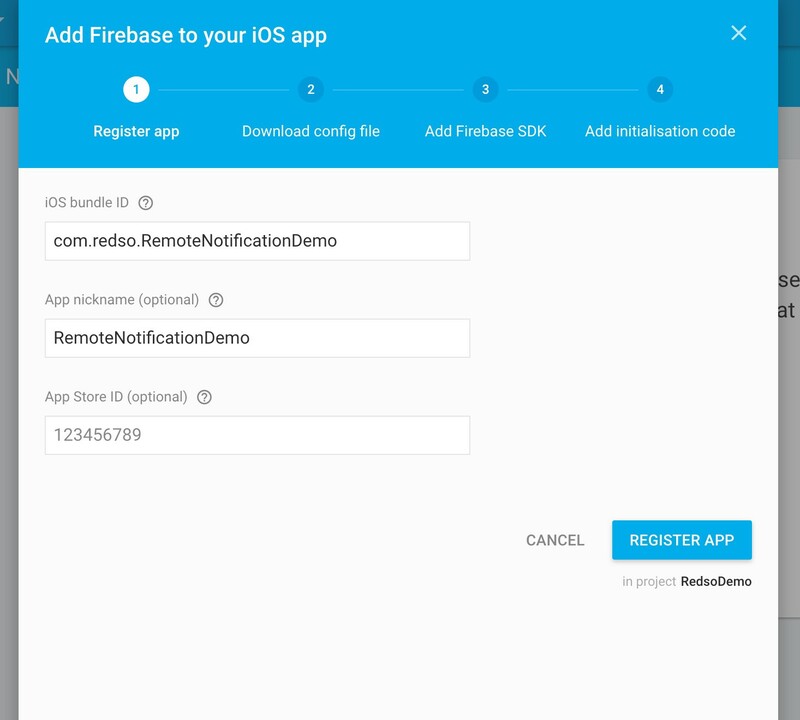 I am going to show you how to setup Remote Notification in iOS using Firebase. It is not new topic for iOS and there is always new change of APIs or new libraries. If you are junior developer, this tutorial may help you. If you are senior, it is also nice to have a recap. ps. Once you downloaded the Auth Key, it will not able to re-download from Developer Console. So you should back-up it. Now we are going to create Firebase account. Go to Settings -> CLOUD MESSAGING. 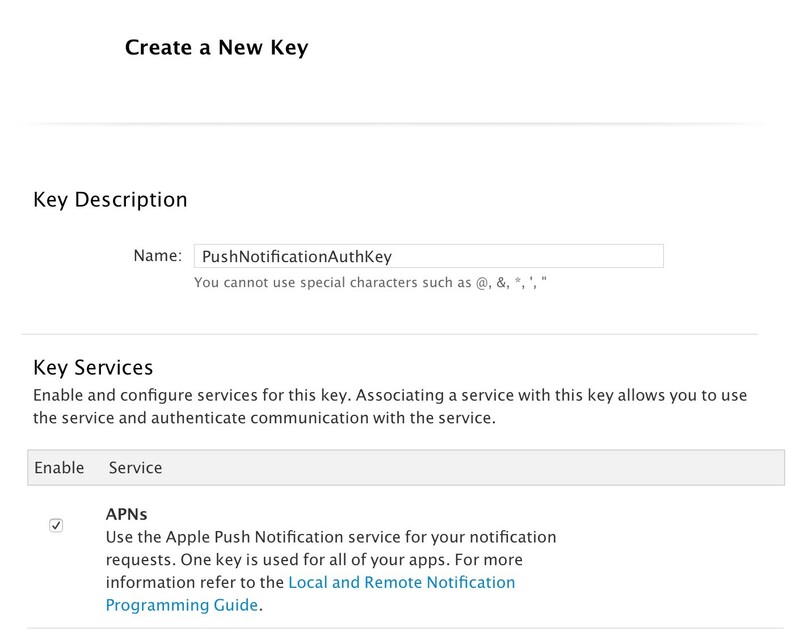 Upload your created Auth Key. You may call this only when the user know why your app need their notification authorization. Keep in mind that you should always aware the application status (active, background or inactive) of the app when you receiving remote notification. You should handle them differently in these cases. Also different callbacks are used for iOS9 and iOS10. Remote Notification is received when the status is active. Remote Notification is opened when the status is non-active. If the app is terminated and user open the remote notification, the notification info is inside launchOptions in didFinishLaunchingWithOptions. NO notification will appear on device’s notification center when receiving remote notification in active state. You may need to present your notification in your own way. The app’s UIs is not ready yet when receiving remote notification in non-active state. If you need to present or push view controllers based on the content of notification. You need to save the content of notification and handle it until UIs are all ready. In iOS10, two callback are used for two cases. Notification will appear on device’s notification center when receiving remote notification in active state. So you don’t need to add your UI to handle this case. This is an example of remote notification sent using Firebase. In most of the time, the content of notification is needed for handling it. In this notification, a custom data (userId = 1234) is sent. (Configured in notification sender in Firebase) And the message of notification is inside aps.alert. That’s all. It’s not a complicated thing in iOS. 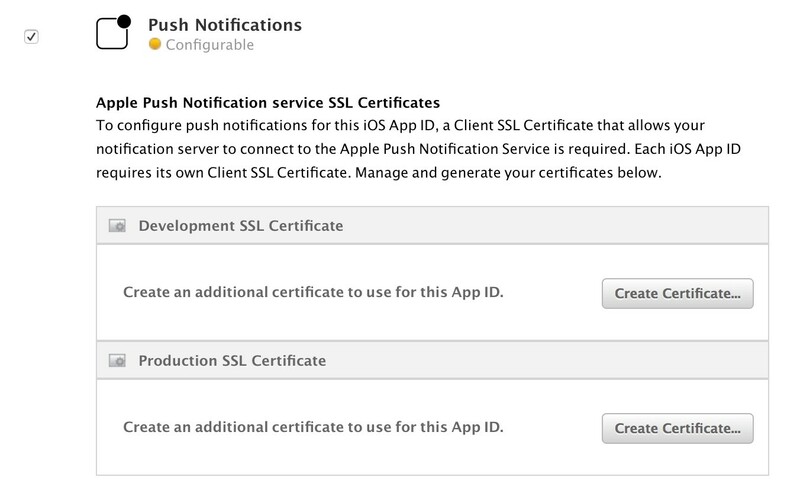 But you should always aware the application status when handling the notifications. Redso: Expert in building iPhone apps, Android apps, Mobile Web, scalable backend on Cloud Platforms, and integrating them all together.